Days after the Saudi deputy crown prince ruled out dialogue with Tehran, Iran's Foreign Minister Mohammad Javad Zarif said that Saudi Arabia is pursuing a "dangerous policy" in seeking tension with Iran. "We believe that Saudi Arabia is seeking tension," Zarif told reporters in Tehran on Wednesday. "The policy is a dangerous one and has no use but insecurity for Saudi Arabia." The young deputy crown prince also threatened that any struggle for influence ought to take place "inside Iran, not in Saudi Arabia." 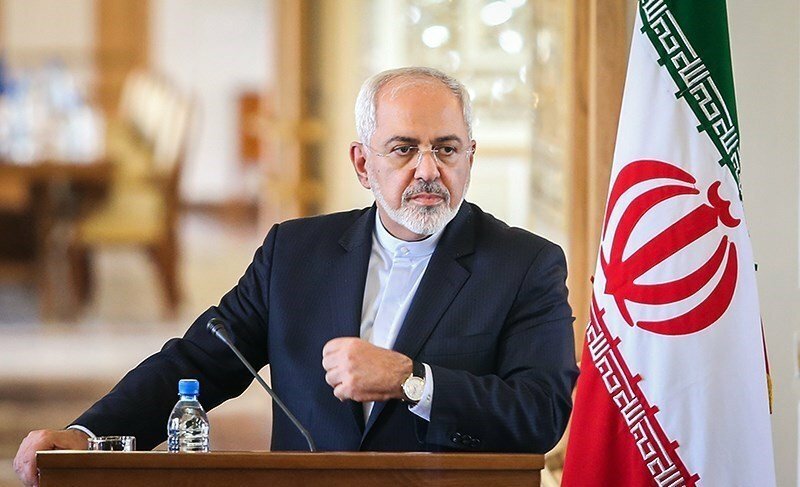 Responding to the threatening statements, Zarif said: "Of course, it's clear that the Saudi government is not in a position to threaten the Islamic Republic of Iran." Tehran already denounced the antagonistic move in a protest letter as "an unveiled threat" against Iran and in violation of the UN Charter, as well as a clear admission of the long-known complicity of the Saudi regime in acts of terror and violence inside Iran. Also, Iranian Defense Minister Hossein Dehghan reacted strongly to Salman's battle talk, underscoring that Iran will hit back at most of Saudi Arabia with the exception of Islam's holiest places if the kingdom does anything "ignorant". "If the Saudis do anything ignorant, we will leave no area untouched except Mecca and Medina," Dehghan said. The recent remarks by the Saudi crown prince squashed hopes for less strained relations between Tehran and the Arab states, initiated by Kuwait. Relations between the two have deteriorated over the past few years. Riyadh and certain other Arab countries claim that Iran is seeking to expand its sphere of influence in the Middle East region, a charge Iran vehemently denies. Tensions between Saudi Arabia and Iran have particularly reached levels unseen since the 1980s, when most Arab countries took side with Iraq after it waged a war against Iran. Tehran and Saudi Arabia do not agree on the situation in Syria. Backing President Bashar al-Assad unfailingly, Iran opposes demands by Saudi Arabia and some other Arab states that Assad should step down. Prior to the recent Astana talks on the Syrian conflict, Iranian Defense Minister Hossein Dehqan said that Riyadh should be barred from taking part in the negotiations because of its stance on a Syria without al-Assad. As archrivals, Tehran and Riyadh have had no political relations for a little more than a year after Riyadh summoned its diplomats from Tehran in the aftermath of attacks on its diplomatic missions in Iran by angry mobs. The storming came after Riyadh's execution of Sheikh Nimr al-Nimr, an outspoken opponent of the Saudi kingdom, and dozens of other pro-democracy activists. On Jan. 17, Iranian President Hassan Rouhani said at least 10 countries had offered mediation to lessen the escalating feud.